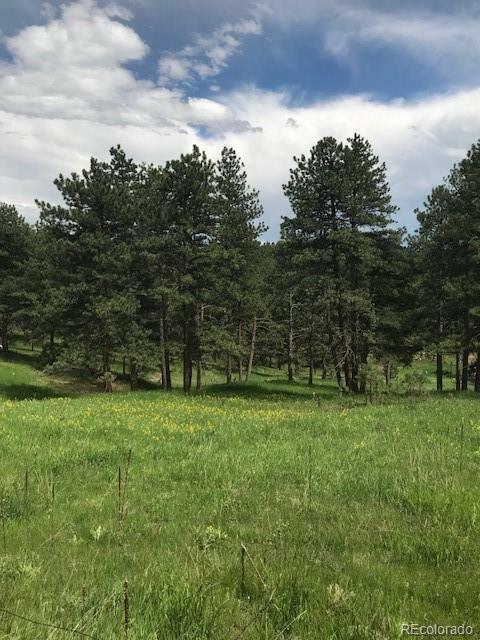 Build your mountain dream home on this 1.22 acre lot. Beautiful Pine Park Estates close to Hwy 285, you can get to Evergreen, Conifer, Denver within 15 minutes. This property has been in the family for over 50 years and now this lot is being sold. This property has typical natural forest and current forest cover is sparse for inexpensive clearance in preparation for home. Beautiful mix of Aspens, Pine, Scrub oak & native grasses. Southern Exposure, faces Double Header Mountain.